In these toxic times, I feel it’s imperative to write to promote the raw vegan lifestyle so that families can still thrive, especially in view of shocking statistics, such as the following: The rate of autism in New Jersey, my home state, has doubled in six years to one in 49 children — and one in 29 boys — an “epidemic increase” in a disorder that has confounded researchers for decades. Feel great and experience boundless energy. Establish and maintain ideal weight. Heal skin issues and improve the texture and feel of your skin. Increase attention, concentration and mental clarity. Decrease the symptoms of autism. Experience a sense of calm, ease and confidence. Amazing benefits come to us upon returning to Nature’s foods. Not just “raw” foods, but whole, organic, pure foods, the way Nature creates them. When first embarking on the raw vegan lifestyle in 1994, I ate oils, loads of nuts and avocados beyond my digestive capacity, and foods that didn’t combine well, such as nuts and fruits at the same time. Because of this haphazard lifestyle, I soon experienced health problems. Later in my raw food journey, I tweaked my daily eating to greatly reduce the amount of fats I had been regularly eating and began embracing food combining for increased digestion. Of course, I soon reaped all the benefits of this major lifestyle change. Why am I so happy with the raw food lifestyle? What do families tell me about the benefits they’re seeing in their children? I’m thrilled with the constant boundless energy I have from eating raw foods in their purest state. Overjoyed with the clear focus and concentration that eating raw vegan food gives me. Delighted that my skin feels smooth as ivory on the raw vegan lifestyle, especially after 25 years of suffering from severe cystic acne. Joyful that I haven’t been ill since going “raw” in 1994. Pleased that due to the fresh raw organic plant foods I eat abundantly every day, I’ve not experienced any of the typical problems that go along with menopause. Elated that my monthly cycle normalized, every 28 days like clockwork, after eating exclusively fresh raw vegan foods since 1994. Content to be neither too thin nor overweight. Raw foods keep me slim and at my ideal weight. I love wearing the clothes I wore when I was 17. Ecstatic to enjoy the magnificent colors and tastes of abundant varieties of fruits and vegetables. Thrilled that my son, at age three, was able to heal from asthma, chronic ear infections, and multiple food allergies in eleven months after transitioning to a fresh raw vegan diet in 1994. Mothers and fathers tell me their children are happier, calmer, more energetic, and have experienced increased attention spans, improved academics, and overall improved immunity after significantly increasing the amounts of fresh fruits and vegetables they eat. What a family decides to leave out of their daily fare is equally important. Huge progress is observed when processed, packaged and refined foods are eliminated. 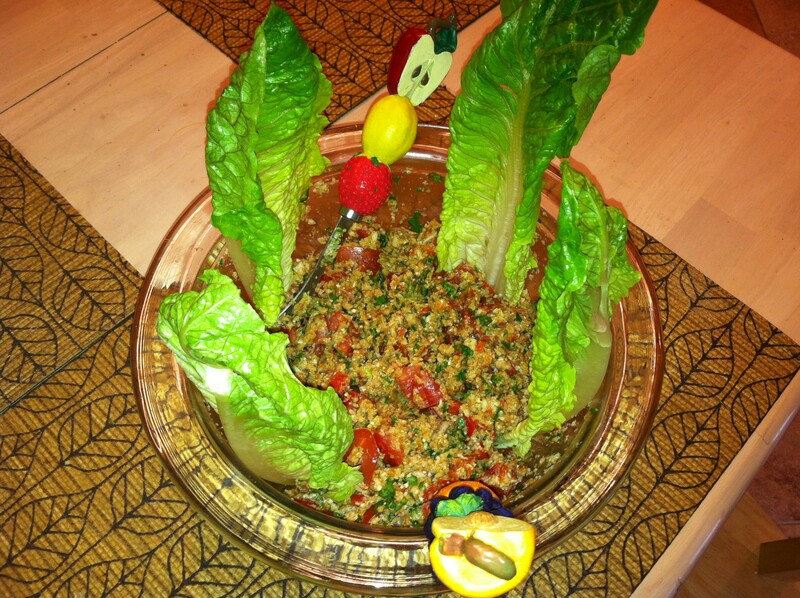 Readers of my book, Creating Healthy Children, and attendees to my Raw Food Fun for Families workshop have requested recipes. The most frequent request is for a family raw vegan recipe book that makes an easy transition to a healthful raw food lifestyle while at the same time explains which foods are “truly” health enhancing and which are not. Initially, I felt conflicted over using recipes because the food we eat on a regular basis should be most digestible with no fuss and time taken for preparation. When my children were growing up, we prepared food in very simple, quick ways. We often ate only one food at a time, fruit or vegetable, in a mono meal, or smoothies, green juices, or large salads, limited, at most, to three or four ingredients. Over time, I realized that a simple family recipe book is needed, one which would leave out the typical “non-raw” ingredients seen in most raw food recipe books (e.g. nutritional yeast, maple syrup) and other harmful products that are neither raw nor health promoting (e.g. agave, cacao, nama shoyu) as well as any processed or fractionated products (e.g. oils). Children’s developing bodies do better without processed foods. My goal in writing this book is to offer you a variety of simple recipes, many of which children can recreate by themselves. Some of these recipes come from my first book, Creating Healthy Children, some recipes are more recent, and some come from raw food chefs, who also appreciate the simplicity and flavor of fresh organic plant foods. Everything You Need to Know about Nuts. I often miss the bright, colorful photos of beautiful fruits and vegetables and raw food recipes in books that contain no photos. Families have requested that I include colorful photos of fruits and vegetables, and recipe pictures, and I have delivered those as well. Thank you for the time that you spent speaking to our students on the topic of “Super Healthy Children.” It was apparent from our students’ comments and reviews that they greatly enjoyed your presentation. We are all impressed by the work that you are doing on behalf of spreading the word about health and children. Please continue your good work with our blessings. Thank you for both your commitment to the better health and well being of others and for the time that you spent with our students. Having attended your program on “Creating Healthy Children” in the Wandell School’s library on Tuesday, February 7th, I would be remiss in not sending you a letter of appreciation. I found your parent presentation timely, insightful, and informative. Your efforts to bring important health and nutrition information to parents are greatly appreciated by our Wandell School family. Changing the culture of how we eat, what we eat, and their lasting health benefits is a courageous effort that is long overdue. Hopefully, through the efforts of individuals like you, we can change the eating habits of children and provide a strong foundation of healthy living for future generations. It is people driven like you who change the unhealthy lives many people in this country are living. You motivate me to become one more voice to spread the truth in achieving optimum health through live foods and exercise. I’m so lucky to have met you at the Fruit Festival! I look forward to seeing you again in the future. You’ve really inspired me. Thank you for everything you’ve taught me already in such a short amount of time! 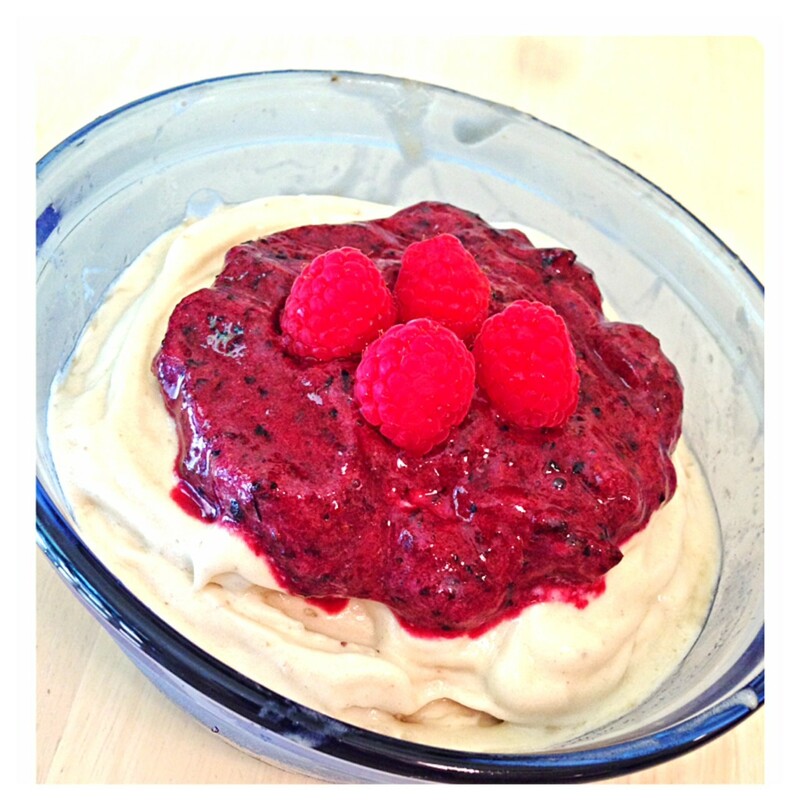 Why Should You Own Raw Vegan Recipe Fun for Families? 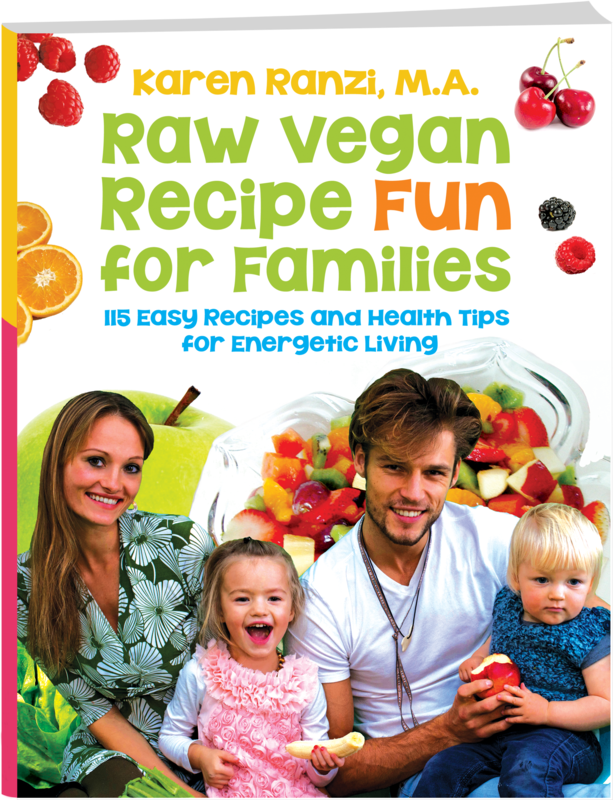 This book will show you how to eat raw plant foods correctly, following current research of what works and what doesn’t – The best food and simple recipes for the entire family! To make your decision to purchase risk-free, we are offering a 60-day unconditional money-back guarantee. If not completely satisfied with your purchase, simply contact us within 60 days of purchase for a full refund. No questions asked! To Your Health and Delicious Meals!